Thom Browne established his eponymous custom tailoring company in New York in 2002 and since then has been credited with bringing a contemporary silhouette to tailoring, his style as become the hallmark of modern suiting. 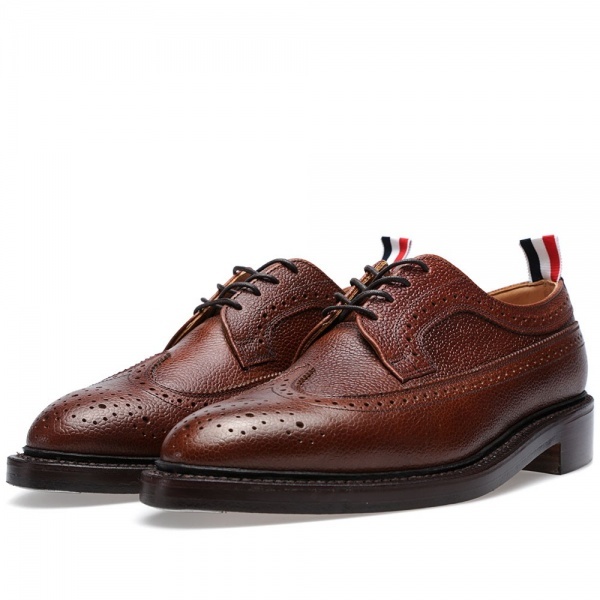 Made in England this Long Wing Brogue is a timeless style, reworked and finished in true Thom Browne style. The premium waxy calf leather construction features traditional brogue detailing alongside a tri-colour heel pull. 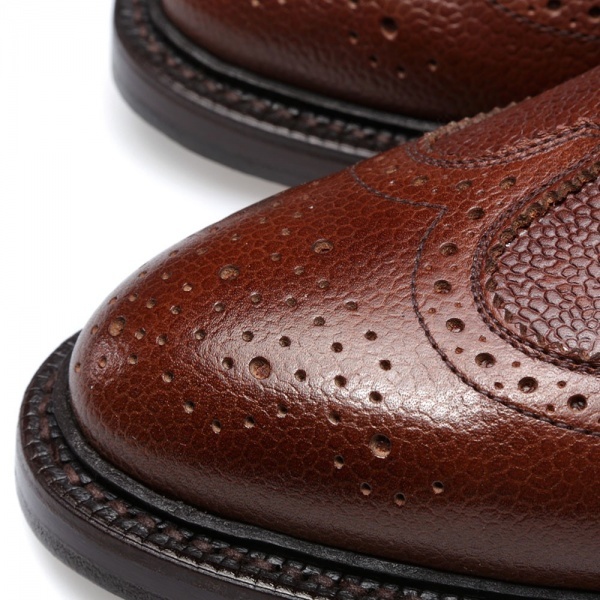 The Long Wing Brogue sits perfectly at the bottom of a well fitting suit or is equally tailored to sit more casually below a slim fitting chino. Available now at End. This entry was posted in Footwear and tagged Brogue, Designer, England, Handmade, Leather, Long Wing Brogue, New York, Split Welt Sole, Thom Browne. Bookmark the permalink.